Matt Lankes, a seventh-generation Texan, grew up in Austin playing soccer and watching his father take pictures for the Austin American-Statesman. “I grew up around the camera,” says Lankes who has made his living through photography since attending St. Edward’s University, specializing in portraits of people in their environments. “I try to get to the core of the person,” says Lankes, who likes to spend time with his subject. “I try to make a portrait that shows who a person really is. I think that one thing that runs through most of my pictures is that the subjects are not posing; they are relaxed, and not putting on a face.” Lankes credits his children, Sinead and Nicholas, with keeping him focused. “They’re my inspiration,” he says. In his spare time, Lankes still loves to play soccer and travel the world. Lankes’ clients include HBO, LiveStrong, Y&R, Texas Music, Fox Searchlight, Texas Monthly, New York Times, Interview, Time Inc., Newsweek, GSD&M, Austin Monthly, Lee Jeans, Random House, Warner Brothers, Cowboys and Indians, Chevy and Pentagram Design. Lankes currently has his work in the permanent collection of The National Portrait Gallery at the Smithsonian and at The Wittliff Collections at Texas State University. To see his work, visit Matt Lankes Photography. Rick Loomis has been a photojournalist for the Los Angeles Times for more than 20 years. He graduated from Western Kentucky University with a BA in photojournalism and a minor in Latin American studies. While in school, he gained valuable experience with internships at The Palm Beach Post, The News-Sentinel in Fort Wayne, Colorado Springs Gazette-Telegraph, The Seattle Times and Syracuse newspapers. Loomis’ work runs the gamut of daily newspaper assignments, but two major themes – the environment and world conflict – have defined his career. 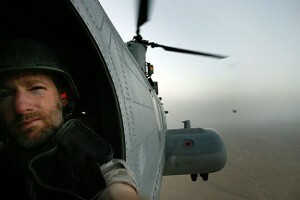 Often tasked to cover physically challenging stories in remote, dangerous places, Loomis was one of the first journalists on the ground covering the war in Afghanistan in 2001. What started out as a single assignment turned into more than a decade-long commitment to telling the story of America’s wars in both Afghanistan and Iraq. He has lived more than two years of his life in Afghanistan, documenting the effects of the war on civilians and the actions of the Army, Marines and Special Forces. Loomis then followed the story home as the U.S.-led wars waned, doing in-depth projects on PTSD, soldier suicide and VA deficiencies. 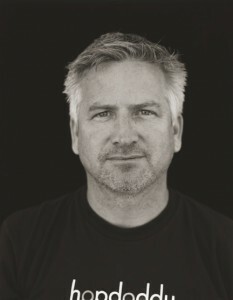 In 2007, Loomis was awarded the Pulitzer Prize for a year-long project that documented the ills of the planet’s oceans. He took readers into some of the world’s most pristine, isolated underwater environments but also into less attractive locales like human sewage outflows and sea urchin barrens. In pursuit of other environmentally based stories, he has camped out on the Alaskan tundra, trekked through the jungles of Uganda and rappelled from the cliffs of the rugged Oregon wilderness. In 2011, Loomis covered the revolutionary movements in Egypt, Bahrain, Tunisia and Libya – all in straight succession. He’s chronicled other significant global news events including the earthquake in Haiti, Hurricane Katrina, and the Deepwater Horizon oil spill. More recently, he photographed religious cleansing in the Central African Republic, the Syrian refugee crisis, and the mass shooting in San Bernardino. His sensitive eye draws viewers into situations they might not otherwise witness as he strives to capture the humanity of ordinary people under extraordinary circumstances. 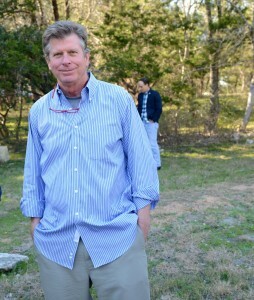 In addition to the Pulitzer, Loomis has been recognized as the National Press Photographers Association’s “Photographer of the Year,” and been awarded the John B. Oakes Award for Distinguished Environmental Journalism, the Society of Professional Journalists Sigma Delta Chi award (twice), the Scripps Howard Foundation National Journalism Award (twice), and the Robert F. Kennedy Award (twice). In 2014, he became the 96th inductee into Western Kentucky University’s Hall of Distinguished Alumni, the highest honor the university can bestow upon an alumnus. Most years, Loomis returns to Kentucky for a week to teach documentary storytelling at Western Kentucky University’s Mountain Workshop. In addition, he frequently lectures and teaches at other universities and institutions around the country. He lives in Long Beach, CA., with his wife Liz O. Baylen, also a photojournalist at the Los Angeles Times, and their dog Cinnamon. His work can be seen at www.loomisphotography.com as well as the LA Times. 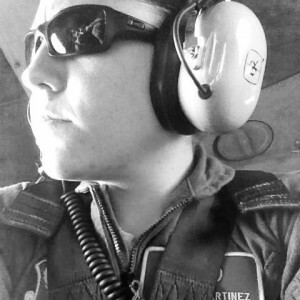 Jodi Martinez is a photojournalist for the United States Air Force. She was stationed at the 1st Combat Camera Squadron as an aerial photojournalist and is currently studying photojournalism at Syracuse University. Since 2010, her job has taken her across the world and earned her many accolades, including 3rd place for the 2015 Military Photographer of the Year. See more of Martinez’s work here. Tyler McQueen is a freelance photographer and videographer in the Northern Virginia area. In addition to cofounding a media production company where he heads up the creative process, Tyler often lends his talents to local veteran organization—and SongwritingWith:Soldiers partner—Boulder Crest Retreat for Military and Veteran Wellness. As of early 2016, Tyler has photographed several SW:S events at Boulder Crest Retreat, which he considers among the most impactful and moving events he has been a part of. While not a veteran himself, Tyler has many friends and family members who proudly served and is consistently blown away by the compassion and openness shown by the participating SW:S veterans and their family members. See more of McQueen’s work here. SW:S Retreat, Belton, TX. Photo by Matt Lankes. Michael O’Brien is a renowned photographer based in Austin, Texas, who for several years has been taking portraits of veterans and songwriters at SongwritingWith:Soldiers retreats. Over the past four decades, Michael O’Brien has photographed subjects from presidents, celebrities, and financiers to small-town Texans, including ranchers, beauty queens, writers, and bar owners. O’Brien has completed three books: The Face of Texas: Portraits of Texans (2003; 2014); Hard Ground whose portraits of homeless individuals are paired with poems by Tom Waits (2011), and The Great Minds of Investing (2015). Photographs by O’Brien have been collected by the Harry Ransom Humanities Research Center at UT Austin; Birmingham Museum of Art; International Center of Photography (New York City); Tennessee State Museum; and the Wittliff Collection of Southwestern and Mexican Photography at Texas State University. Between 2009-2011, the Smithsonian Institute’s National Portrait Gallery in Washington, D.C. acquired 18 of O’Brien’s portraits including Warren Buffett, Larry McMurtry, Don DeLillo, Rob Reiner, and Willie Nelson. You may see his work at Michael O’Brien Photography.